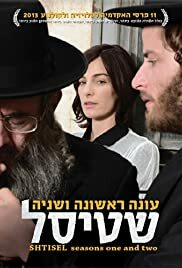 The life of the Shtisel family, a haredi family in Jerusalem. Shulem and Nukhem clash over Akiva painting again. Akiva tries to contact Libi. The festive preparations to Ruchami and Hanina's wedding awaken complex family issues. Kaufman forbids Akiva from sleeping in the studio. Shulem introduces his fiancé to his mother. Giti's son is rejected from a prestige Yeshiva. Well at last I have found a program that I absolutely love. Grandma makes me laugh out loud, she is a real character. I am learning about this different culture and find it so interesting. So here it is 2019 and I have only just found it!! I think the actors are all superb! I wish it was more than just two series. Well done to all concerned. A really great and intelligent story.